Shovels & Rope's By Blood is out April 12 on Dualtone. 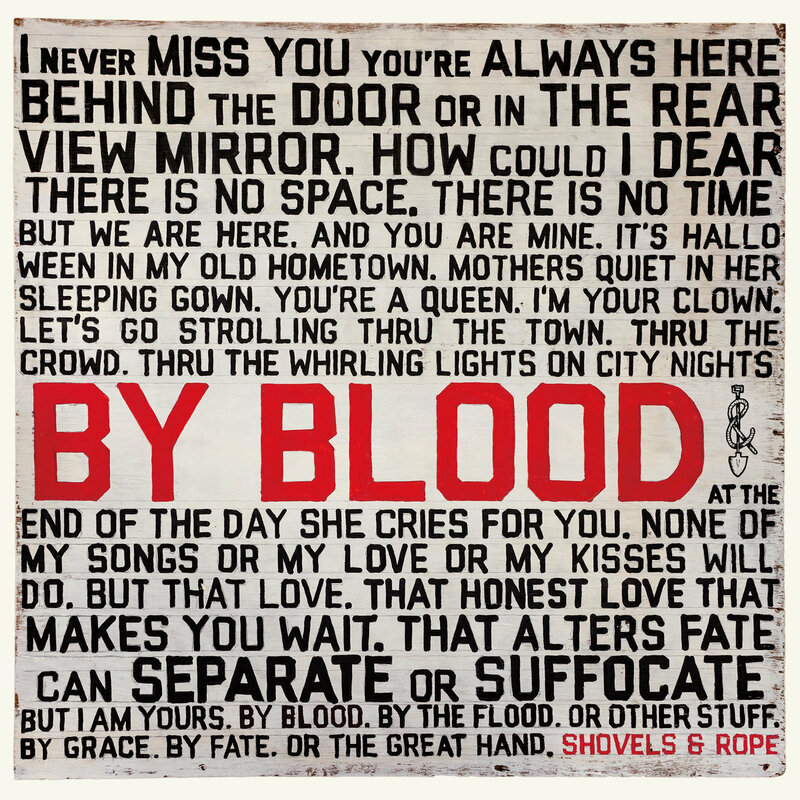 Early into the closing track of husband-and-wife duo Shovels & Rope's new album, By Blood, Michael Trent sings, "Never miss you, you're always here / Behind the door, in the rearview mirror." While the track, also the album's title cut, is as much lullaby as it is love song, its underlying sentiment gets to the heart of what listeners love about the pair: their otherworldly connection to one another. Since releasing its self-titled debut album in 2008, the Charleston, S.C.-bred act has captivated fans with a no-frills take on punk-influenced roots music and joyful, revelatory live performances. While the pair's sound has evolved considerably since then, the through-line has always been Trent and Cary Ann Hearst's artistic intimacy, which finds them switching instruments mid-set (or mid-song, even), masterfully anticipating the other's vocal harmonies and consistently drawing out the best in each other both in the studio and on the stage. 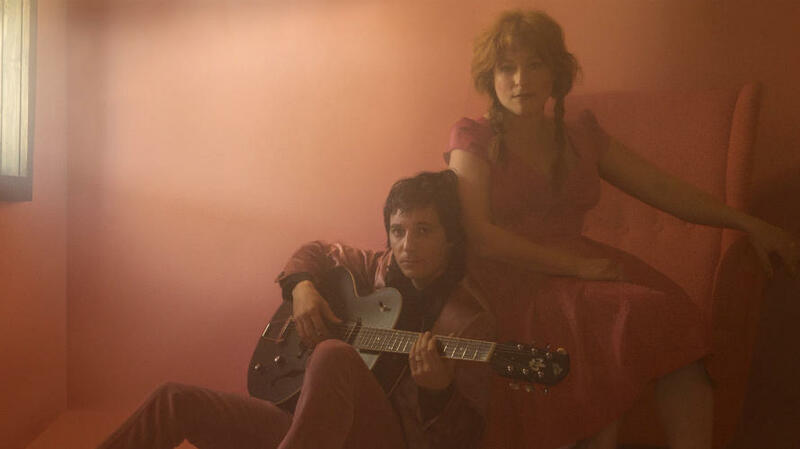 Shovels & Rope's 2016 album Little Seeds added greater nuance to the duo's catalog, as much of that LP's material, which also hinted at further forays into the fringier reaches of roots and rock, explored new parenthood. (The two welcomed a daughter in 2015, and just recently had their second child.) By Blood picks up where that album left off with an expansive meditation on family, community and what it means to live together — whether that's under the same roof or on the same planet. Trent and Hearst wrote and recorded the album in their backyard recording studio, a decision prompted largely by their new home life and a desire to keep both their children and their artistic pursuits close by. As a result, the album sounds warm and lived in, like a favorite pair of jeans; it retains the rough-around-the-edges sensibilities the duo is known for while still sounding like a fully realized concept, a balance that surely isn't easy to strike. Opening track "I'm Comin' Out" is as an exuberant introductory statement, showcasing the duo's knack for writing blood-pumping anthems of empowerment and solidarity. On the following "Mississippi Nothin'," Trent's at the top of his vocal game, his soulful croon landing somewhere between Conor Oberst's folky introspection and the gritty swagger of Deer Tick's John McCauley. Hearst, too, sounds better than ever, delivering versatile, knockout performances throughout, like her outsized twang on "Hammer" and emotive wail on "Carry Me Home." The duo takes stock of family life across By Blood, as on the New Wave-influenced first single "The Wire." Over a spare beat and a thumping bass line, Hearst promises not to fail her loved ones when it really counts. By Blood zooms outward, too, with the folk-influenced song "C'Mon Utah!" That track shares its name with the duo's first children's book, which tells the (obviously fictional) story of a mythical horse named Utah who reunites displaced families with their loved ones after the fall of President Trump's proposed southern border wall. By Blood's got plenty of groove, too. Standout track "Twisted Sisters" builds a Southern Gothic doo-wop romp around call-and-response vocals and retro harmonies. Murder ballad "Pretty Polly" starts off jauntily enough, but ups the ominous ante with icy electric guitar stabs and a hypnotic repeating vocal at the outro. By Blood is an impressive feat of song craft from one of roots music's most exciting, unpredictable acts. More than that, though, it's a testament to the potential inherent in meaningful collaboration. Trent and Hearst are no doubt individual talents, but together they're a force to be reckoned with. Blood may be thicker than water, but these two have something even thicker still.